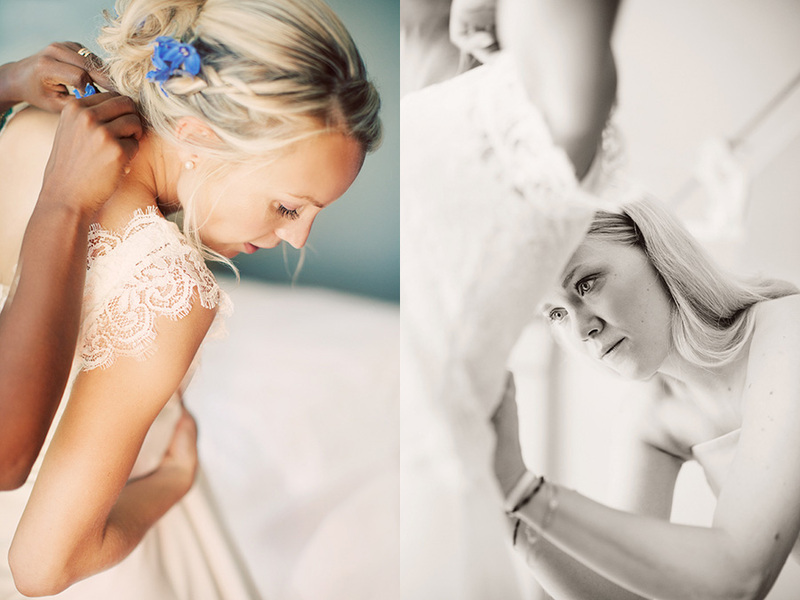 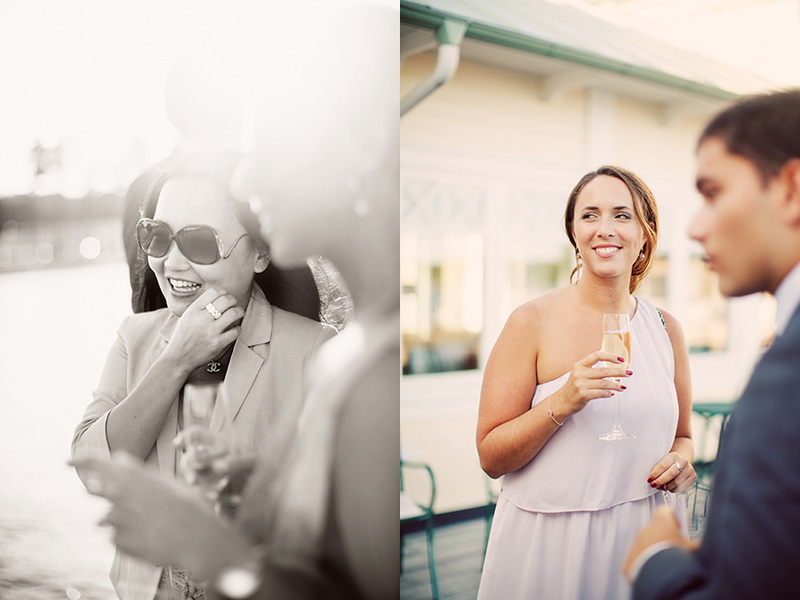 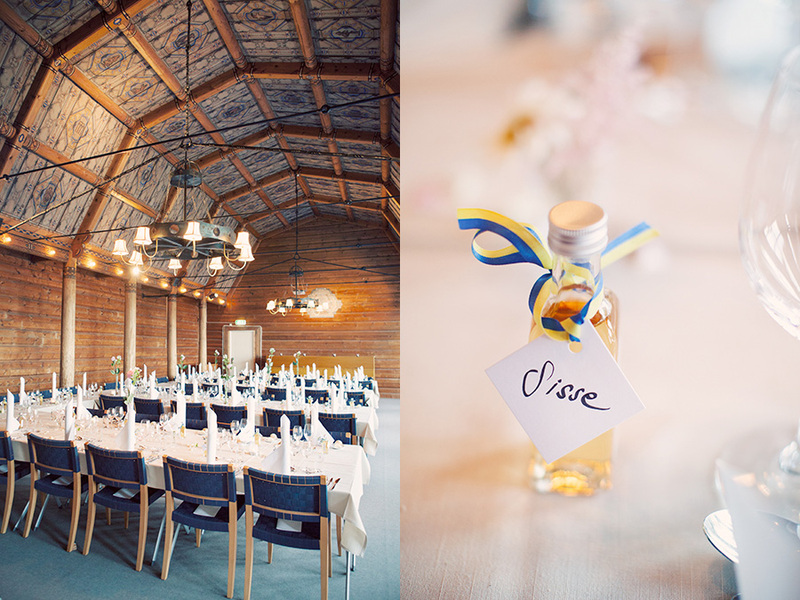 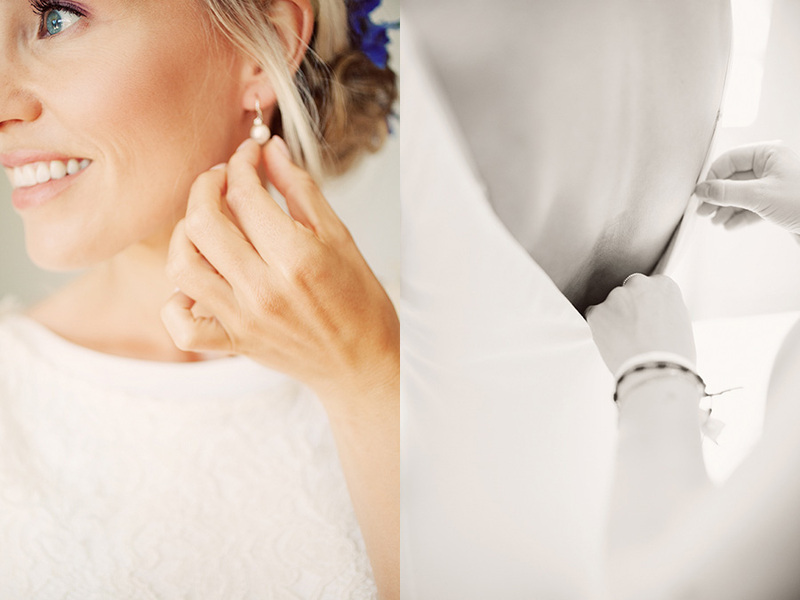 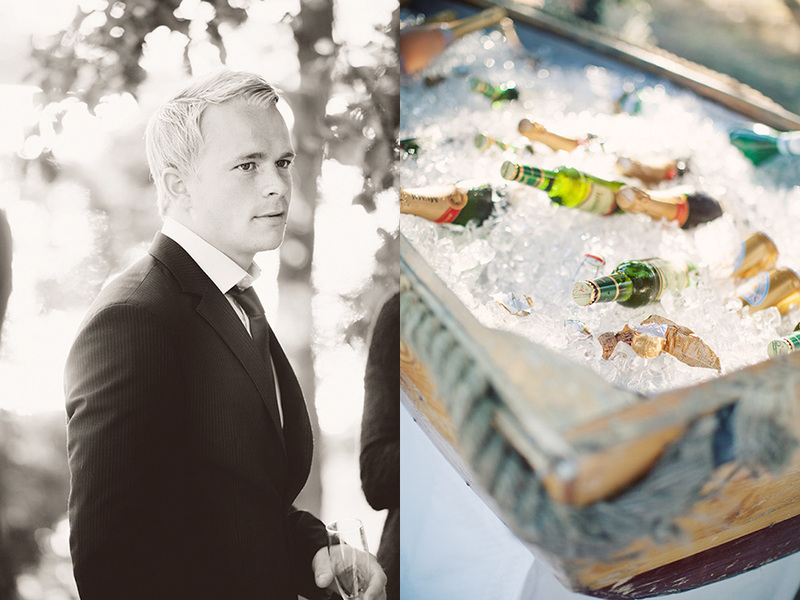 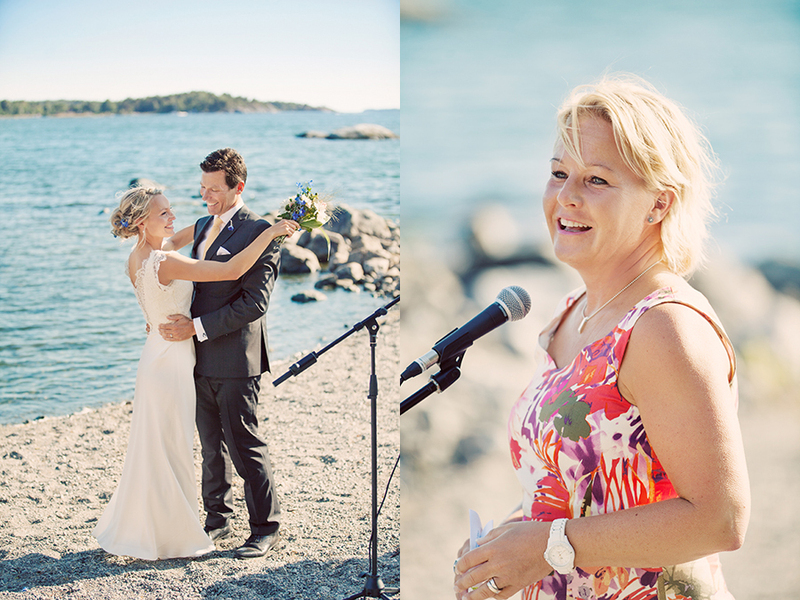 Linnea and Tim had an outdoor wedding in the Swedish archipelago August 3rd. 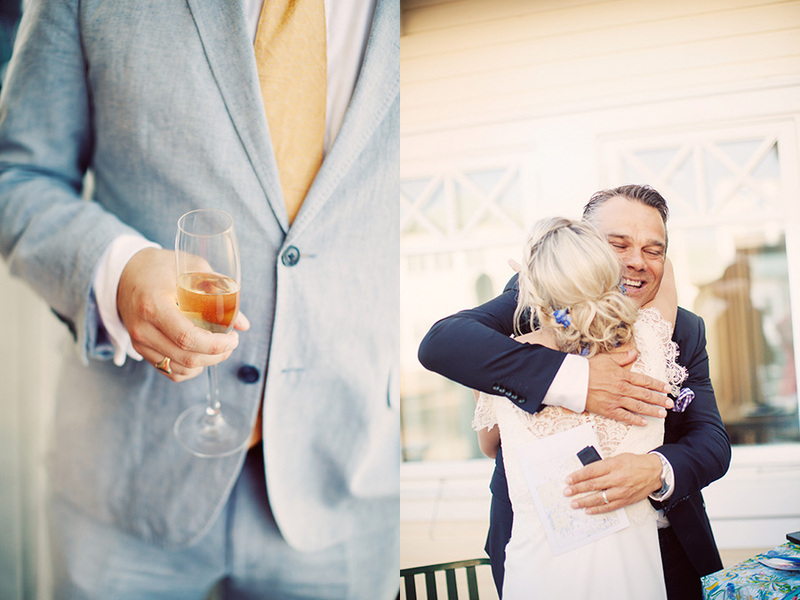 At Linnes dad's house by the water outside Nynäshamn they had a ceremony held by the Swedish minister Hillevi Engström. 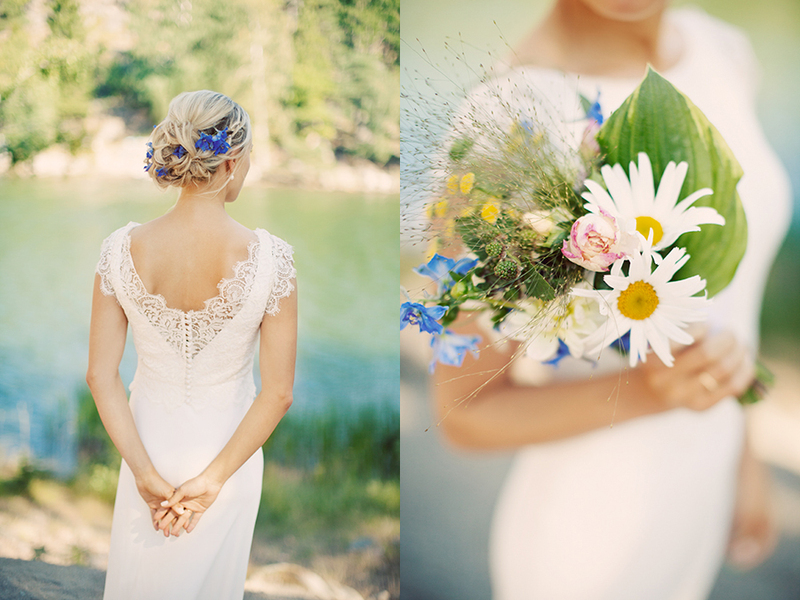 Here are some of my favorites from their day. 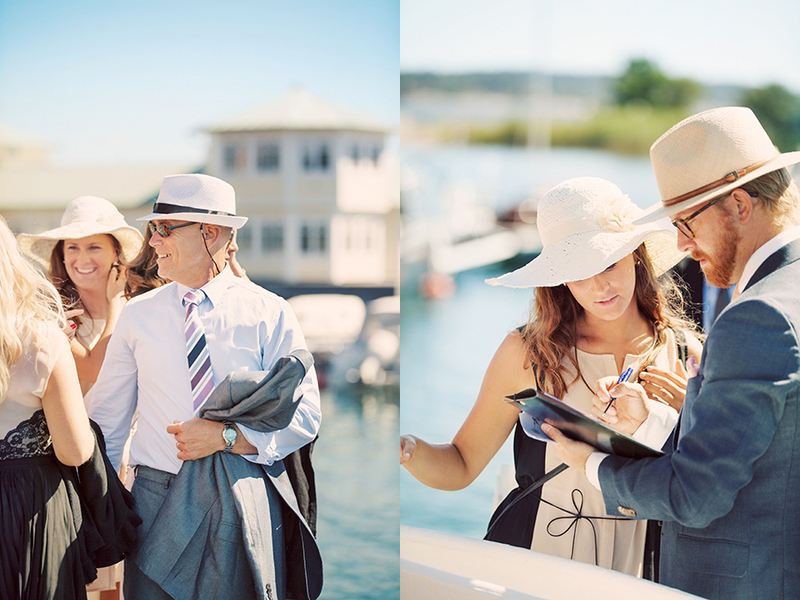 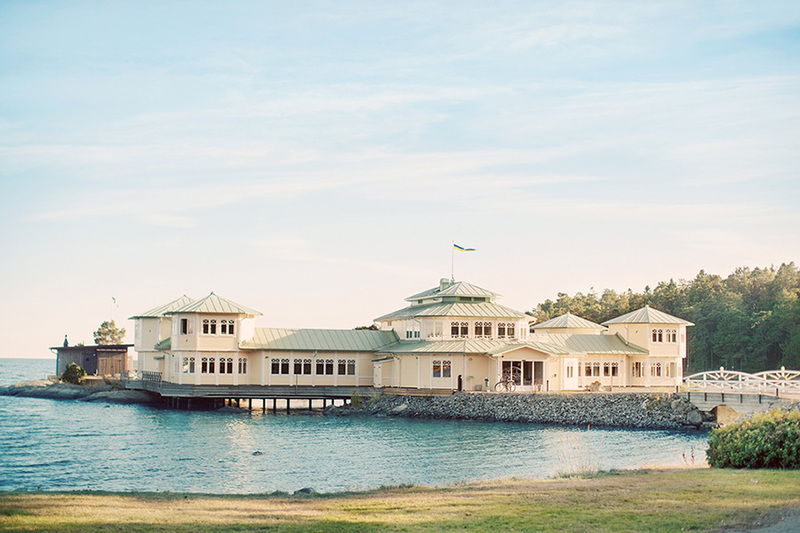 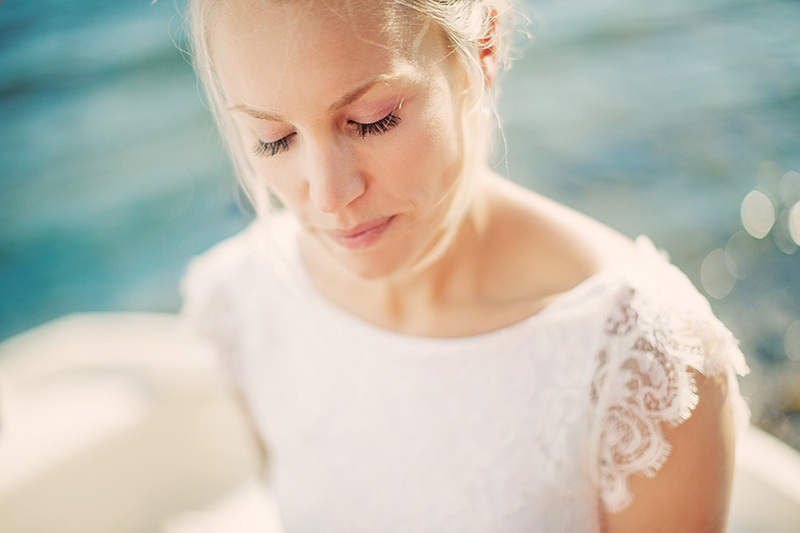 Since the sea is so important for Linnea and Tim Nynäs havsbad was a wonderful location for a Swedish summer wedding. 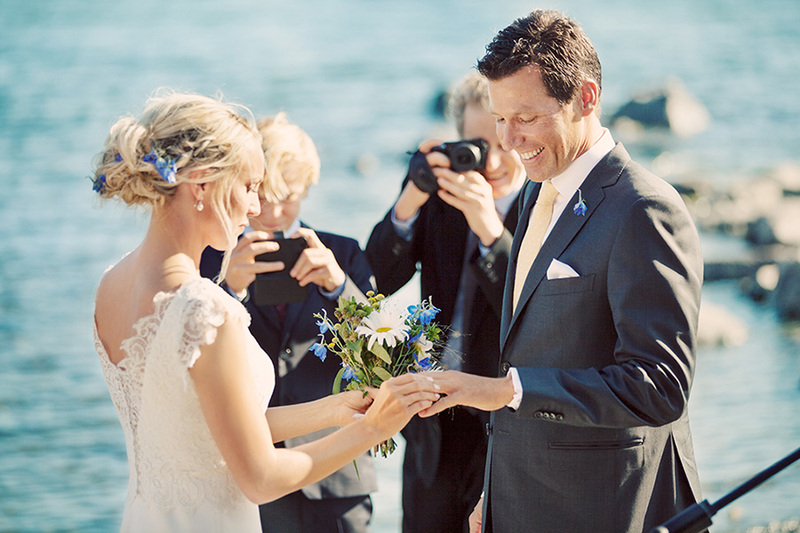 Based in UK and the hole world as their working field there where many international guest visiting Linnea's home country for the first time. 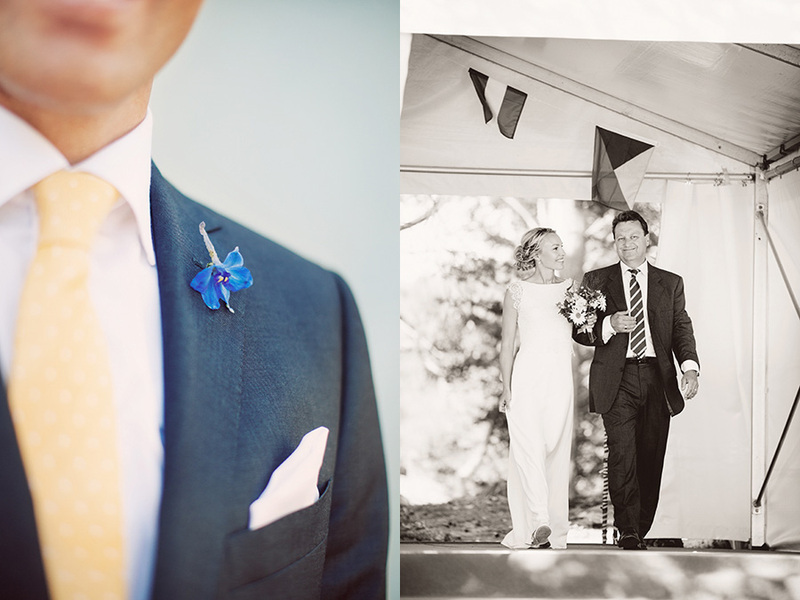 They all got a warm and sunny day with beautiful Swedish colors and traditions outside Stockholm. 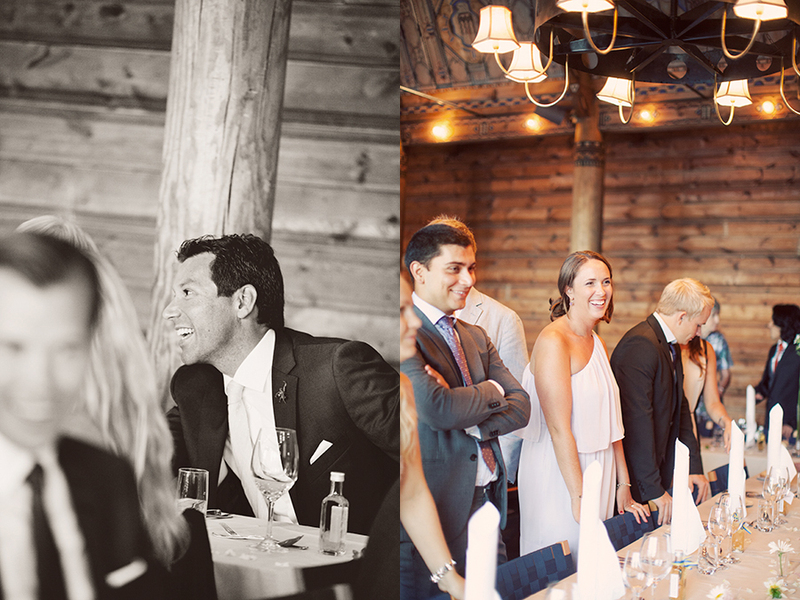 Linnea and Tim, wherever you are in the world now, I wish you the best of luck with your new life as a married couple!